Future belongs to India’s Youth as we have maximum young population of the world who are energetic and have the potential to become a super power in the near future, said Mr. Varun Gandhi, Member Parliament. He was interacting with the students and staff on the topic 'Rashtriya Nav Nirman Ke Liye Nayi Soch' at Desh Bhagat University, Mandi Gobindgarh. Addressing the mammoth gathering present in the auditorium (on the occasion), Mr. Gandhi said that the youth are the backbone of the country, they have full potential to take our country to the pinnacle on the world Canvas and they can keep up this stage till eternity . He motivated the students to think big, dream big and achieve big. 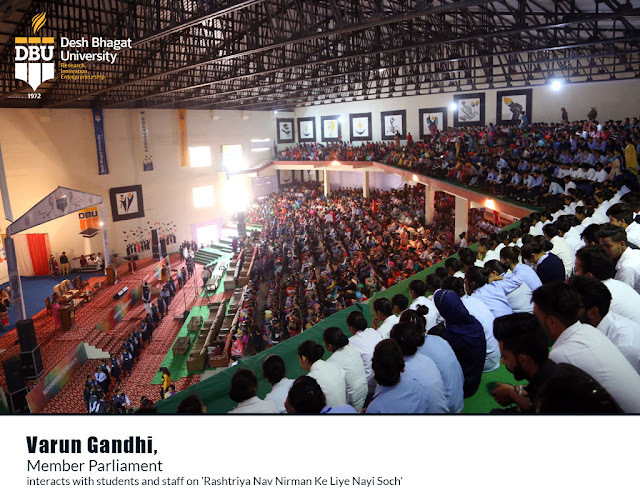 Mr. Gandhi further asserted that the Youth should focus not only on fulfilling their personal dreams but should also work for the betterment of the society and the development of the nation. He also gave some examples of the young entrepreneurs who have proved themselves even in-spite of the lack of basic facilities. He also discussed about young Durgesh, Aniket Deodhar, Aishwarya Prashar who are regularly working for the development of the society. 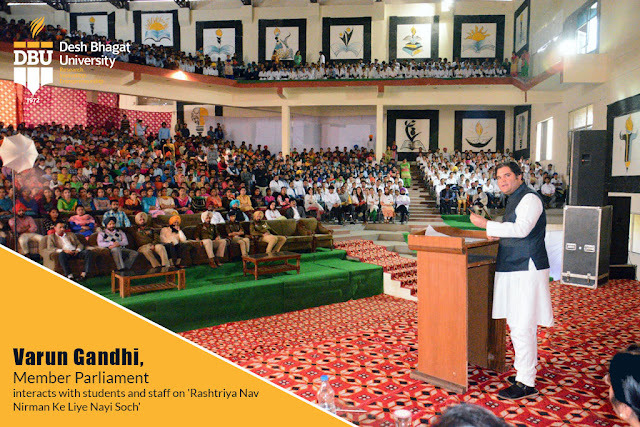 Earlier, University Chancellor Dr. Zora Singh while welcoming Mr. Varun Gandhi said that it’s a time of innovation, smart technology, world class infrastructure and latest techniques. The paramount accountability of the students would be to contribute and make our country sound and strong on the world map. 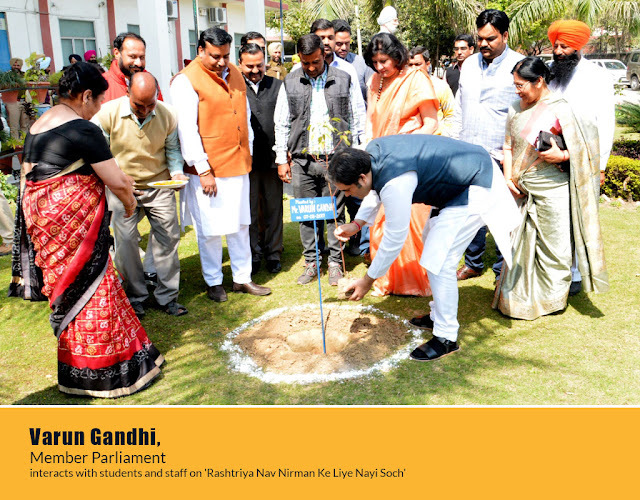 To create awareness regarding Environmental Protection, Mr. Varun Gandhi planted 'Camphor Plant' at the campus. 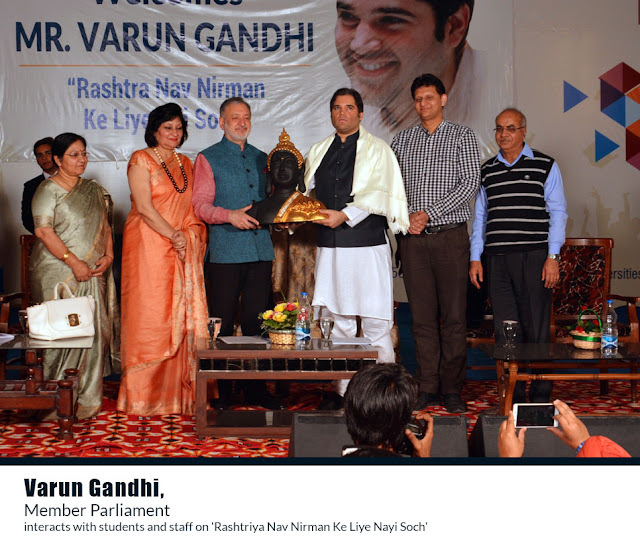 University Pro Chancellor Dr. Tajinder thanked Mr. Varun Gandhi for sparing his precious time for the students and hoped that it will prove quite useful for them and the faculty members too. Vice Chancellor Dr. Virinder Singh and Pro Vice Chancellor Dr. Neelima Jerath said that such events are very useful for the young generation, especially the students. It will encourage them to do big for the country. 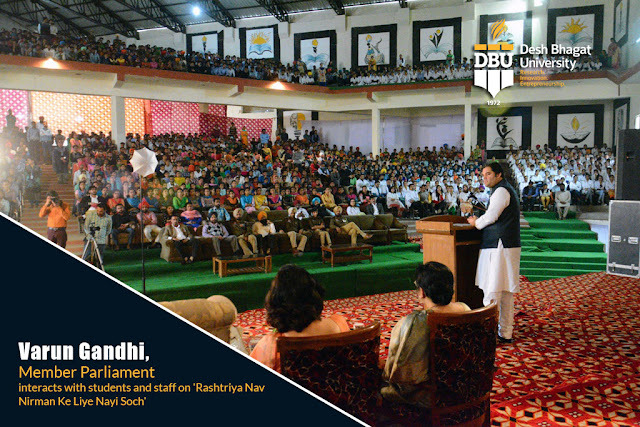 A large number of students from different faculties and faculty members were present on this occasion.